A pavement stone's side length is 9 cm and it weighs 20kg. 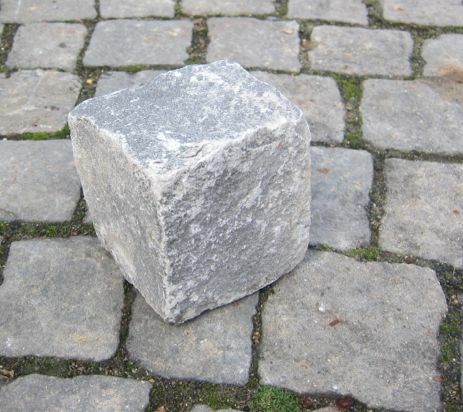 How much stone do I need to pave a city square 10 m x 10 m if the distance between the stones is 1 cm? Just to remind you 1 m = 100 cm.